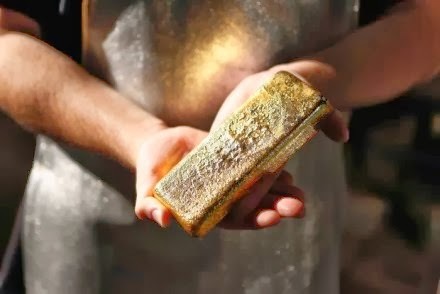 GOLD production in Fiji declined over the past few years partly because of challenges in finding good quality ore, says Reserve Bank of Fiji chief manager economics Ariff Ali. He said some of the shafts needed improvement and investment. "Shareholders need to pump in some money. However, despite the reduction in gold production, we see exports of gold significantly higher than what it was in early 2000," Mr Ali said. "This is because gold prices are somewhere around $US1300-$US1400 ($F2407-$F2592) compared to $US300-$US400 ($F555-$F740) in 2000." Given the latest economic development on all fronts, he said, it was highly likely that growth would be revised upwards. Speaking at the recent Fiji Institute of Bankers convention at the Novotel convention centre in Lami, Mr Ali said the mineral water sector continued to expand with a bright future ahead. Meanwhile, Mr Ali said partial indicators showed consumption activity remained strong in the months cumulative to August. He said net value-added tax collections increased by 13.1 per cent while electricity consumption increased by 4.6 per cent. Increases were also noted for new consumption lending, new vehicle sales, imports of consumption goods and personal remittances by 118.1 per cent, 46 per cent, 9.1 per cent and 4.9 per cent respectively.